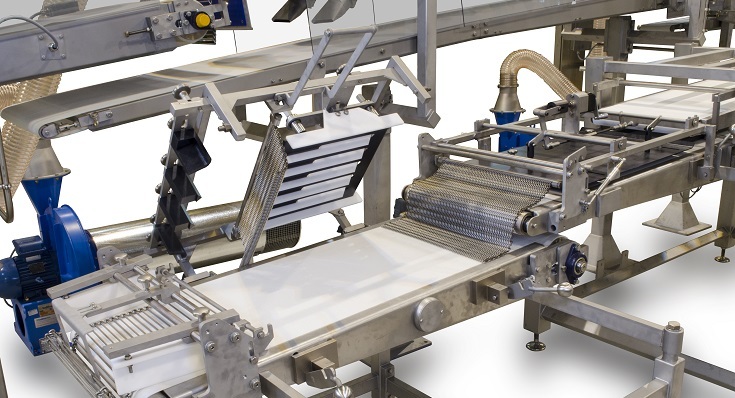 Standard proving arrangements and intermediate conveyors can been replaced by a special purpose flour-free resting system that uses a variety of techniques to ensure the dough pieces are fully rested yet transfer cleanly from the divider to the moulder. 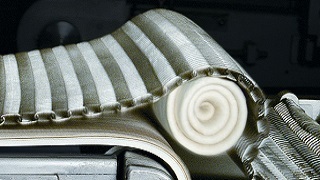 The system fulfils two functions. Firstly, to transport the dough pieces from the upstream forming equipment and, secondly, to allow the dough pieces to rest. 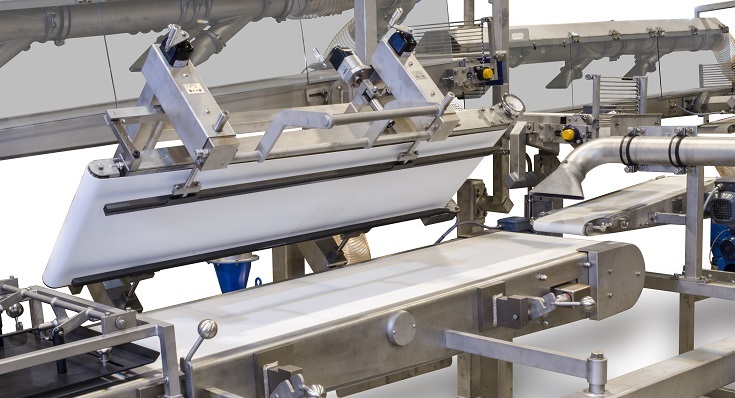 To prevent adhesion, Baker Perkins’ flour-free systems use multi-stage conveyors with transfers, belt materials and air systems carefully selected to suit the resting time, dough properties and ambient conditions. Achieving the correct balance is critical: if the steps taken to avoid adhesion go too far, the dough pieces may not relax sufficiently, or be misshapen or too dry to mould well. 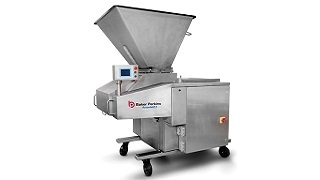 Baker Perkins' experience enables our process engineers to specify systems that balance all of the parameters to ensure that the dough pieces arrive at the moulders in perfect condition to produce high quality, consistent loaves. The resting step is a vital part of the process, as it relaxes the stresses that build up in the dough pieces during the dividing process. Without relaxation, the dough pieces are prone to tearing during the moulding process and also to proof and bake unevenly. Being able to sheet and mould without the use of any dusting flour eliminates a significant health hazard and reduces operational, cleaning and maintenance costs. 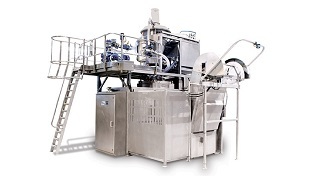 Designing the process without the need for flour dusting has created a system that is free from dough build-up, sticking or smearing which extends cleaning intervals and reduces cleaning time. There is also a process benefit in having the dough surface free of any dusting flour: consolidation of the dough piece under the moulding board is improved, leading to a more even texture with fewer holes and less evident swirling. For the conveying of individual dough balls without the requirement for flour dusting to avoid dough sticking. 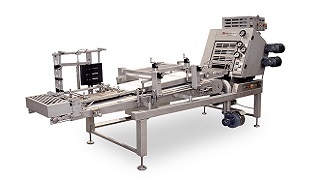 The conveyor system is designed to ensure that the dough balls cannot stick to the transportation surfaces. At each transfer point, the dough balls are rotated through 180 degrees to control the moisture migration through the dough. 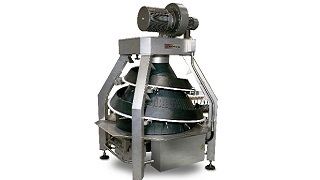 Ensures a concentrated air flow is passed over the complete surface of every dough ball. 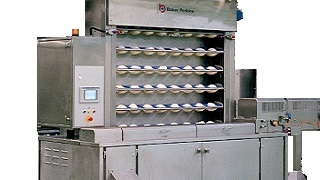 The air flow is carefully controlled to avoid drying in the dough ball surface, which would cause poor cell structure in the final bread product. To reject double dough pieces. 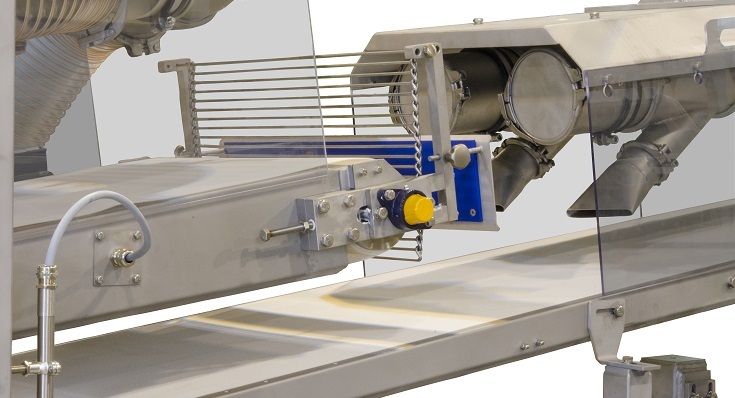 Mounted prior to the moulder infeed conveyor, featuring photocell monitoring to determine the presence of double dough pieces. A reject chute then diverts the rejected dough ball to customer’s bin. 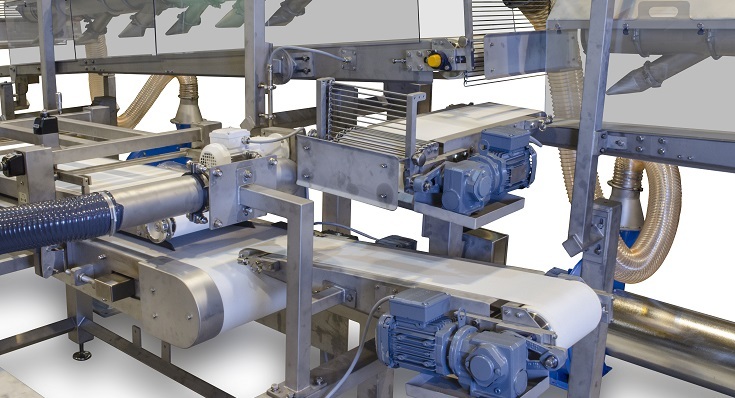 Features servo drive for variable speed control and high speed reversing.